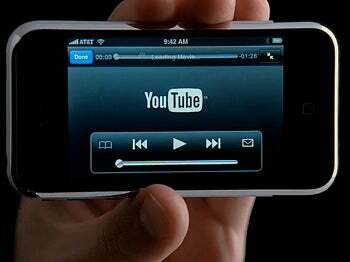 YouTube U.K. Music Videos to Vanish? Google is set to pull all music videos from its U.K. version of YouTube after failed negotiations over licensing fees with the country's Performing Rights Society (PRS). Still looking for a solid business model for YouTube since buying the company for $1.65 billion in 2006, Google decided that it won't sustain the losses the video-sharing Web site would make if a new licensing deal were struck with PRS. The confusing situation has left many wondering whether Google is flexing its muscles or just looking for a fair deal. Both YouTube and PRS tell a different story about what actually happened between the two companies. Patrick Walker, YouTube Director of Video Partnerships, Europe, Middle East and Africa, claims that PRS practices "prohibitive licensing fees and lack of transparency," saying that under PRS's proposed terms, the company would "lose significant amounts of money with every playback." On the other hand, PRS claims: "This action has been taken without any consultation with PRS for Music and in the middle of negotiations between the two parties. PRS for Music has not requested Google to do this and urges them to reconsider their decision as a matter of urgency." Note: As of this writing, most premium music video from YouTube U.K. are still available, despite other reports. While the situation is not very clear at the moment, YouTube is "still working with PRS for Music in an effort to reach mutually acceptable terms for a new license." Now, PRS "urges them [YouTube] to reconsider their decision as a matter of urgency." Clearly, YouTube plays a major role in the promotion of artists online and serves also as a moneymaking machine for record labels with money from royalty deals. However, when someone like YouTube decides to pull the content that brings money in to someone like PRS, it just looks like a giant flexing his muscles and forcing others to cave in -- or in this case to lower/maintain current royalty fees. From a different point of view though, Google hasn't really managed to make a decent profit out of YouTube, even though as a whole company it cashes in billions every quarter -- so why would it go head in to something that would not be profitable for their business?